We are very sad to say Lydia M passed away yesterday. Lydia was a volunteer for Post Pals with her Mum before cancer came into their lives. 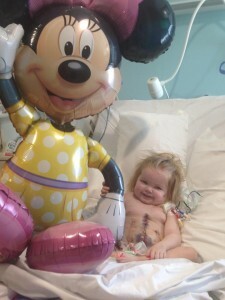 She enjoyed her post during treatment and Post Pals was honoured to grant a couple of her wishes in her final months. 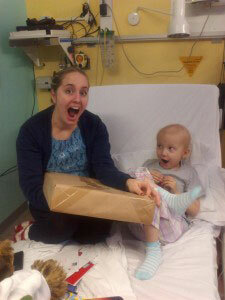 Lydia excited at a parcel – she didn’t know that inside was a laptop! 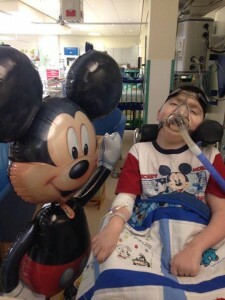 Mickey and Minnie Mouse will be calling in at our party on the 28th of June but some of our Pals who are fans were in need of some TLC so we sent a Minnie balloon to Ella and Mickey to Aaron. Ella loved Minnie and Mickey made Aaron laugh for the first time since he had been admitted to hospital.